Hometown horror, hauntings and hoodoo. You know that's what we like around here. 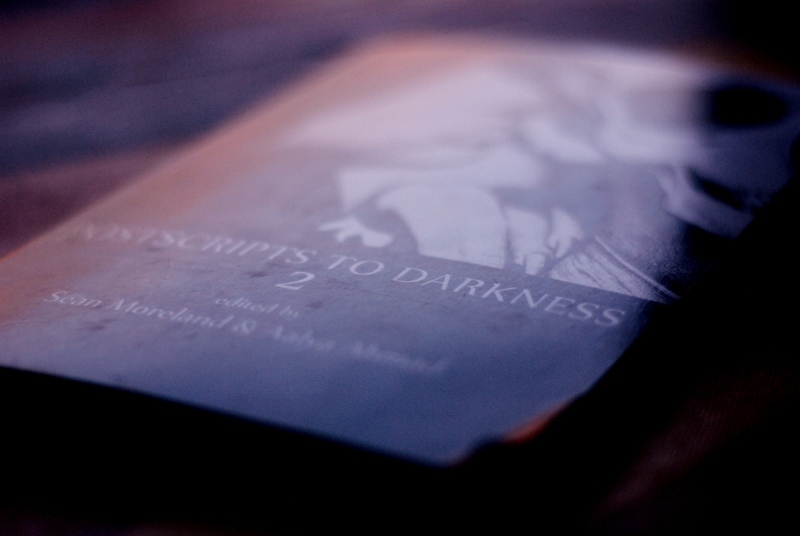 Nearly one third of the work within the horror fiction collection Postscripts to Darkness comes from Ottawa-based or affiliated authors and artists. Conceived, born and coddled in the self-same city, this is the second in a serial anthology edited by Sean Moreland and first with co-editor Aalya Ahmad - professors at University of Ottawa and Carleton University respectively. In the future, we will be discussing the courses and projects coming from these masters of darkness. In the beginning, PSTD was spawned from entries to the Rolling Darkness Revue, an annual ghost-story tour which was part of the Writer's Festival in 2010. With so much great writing submitted, the first volume was born to showcase more than the first three stories chosen to be told aloud. The work for this second volume came through a submission call as will work in the third volume. 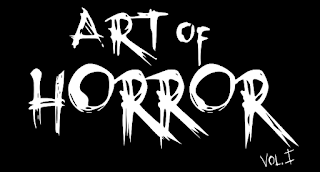 From the horrortree.com submission call, the editors of PSTD II were seeking work that is “both diverse (from splatterpunk to neo-gothic, fabulist to realist, the genteel ghost story to the fangory-ous flash-fic) and complementary". Fangoryous. They hit that mark for certain. While not an outright gore-fest, there is nothing too subtle about the darkness within either. Sixteen short stories, and half that amount of illustrations cover a broad gamut of the fantastic, eerie, and untoward. The first four entries are hard hitting and diverse. They sway from topic to topic hitting spirit channeling, possession, zombies, strife and death. Only very few tales in this collection do not start or end with someone meeting a terrible or intangible end. Set up quite thoughtfully, the threads from one story to another run as songs in a finely tuned concept album. Characters, titles, situations, feelings - one tale evokes something uncovered somehow in the next. 'Blood Moon' flirts with vampirism as 'Mr. James' Wish' touches on fairy tale. In a few, seekers of a Twilight Zone twist will be satisfied - particularly with "Trash" which along with "In The Hotel" rank as my favorite pieces. A bonus interview with author Lee Thomas found sandwiched between the afterword and last story round out this anthology to please nearly any avid horror reader. There will be a launch party at the Imperial, Saturday August 11, 2012 at 7PM with copies of the book for sale, as well as a number of contributing artists available to meet and talk with. If you would like to get a copy beforehand, try Invisible Cinema at Bank and Lisgar. At the event, Moreland and Ahmad will be on hand announcing a call for submission and some details on the third issue. From the back of the current volume: "We are accepting submissions as an attachment (and include PSTD III submission and the story's title in your subject heading) to postscripts2darkness@gmail.com"
As the first volume is slightly more experimental in nature, the second volume is well worth the read. Being horror-minded with a strong lean to local in the first place, I could not help but be impressed by the strong writing and imaginative storytelling found in this book. If you are an author (or illustrator) the best practice is to check out a copy to get a real feel for what they are looking for. More information on each of the 23 contributors and 2 tireless editors can be found in the book. For discussion there is a Facebook group and event listing for those wanting to wine and dine alongside the creators of Postscripts to Darkness II and hang out with Ottawa Horror August 11. Where can we find a TOC? Hm. Perhaps I should post an addition after my next article is up.